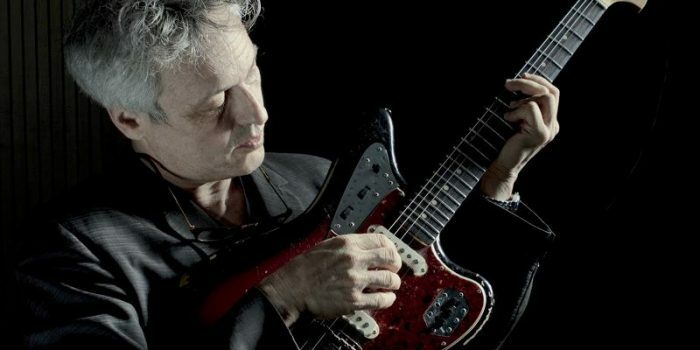 Marc Ribot (pron. : /ˈriːboʊ/) (Newark, NJ, May 21, 1954) is an American guitarist and composer. His work has touched on many styles, including no wave, free jazz, rock and Cuban music. Ribot is also known for collaborating with other musicians, most notably Tom Waits, Keith Richards, Lou Reed, Elvis Costello, John Zorn, Electric Masada, The Lounge Lizards, Arto Lindsay and Medeski, Martin and Wood, as well as leading a number of his own bands such as Shrek, Los Cubanos Postizos and, currently, Marc Ribot's Ceramic Dog and the Marc Ribot Trio featuring Henry Grimes and Chad Taylor. Ribot's earliest session work was featured on Tom Waits' Rain Dogs (1985) and helped define Waits' new musical direction. Ribot worked with Waits on many of his following albums including Franks Wild Years (1987), Big Time (1988), Mule Variations (1999), Real Gone (2004), Orphans (2006) and Bad as Me (2011). He has appeared on Elvis Costello's Spike, Mighty Like a Rose (1991), and Kojak Variety (1995). Ribot has appeared on numerous recordings by John Zorn, including many of Zorn's Filmworks recordings, solo performances on Zorn's Masada Guitars (also featuring Bill Frisell and Tim Sparks), and is a member of Zorn's Bar Kokhba Sextet and Electric Masada. Ribot's first two albums featured The Rootless Cosmopolitans, followed by an album of works by Frantz Casseus for solo guitar. Further releases found him working in a variety of band and solo contexts including two albums with his self-described "dance band", Marc Ribot y Los Cubanos Postizos (The Prosthetic Cubans), featuring compositions by Arsenio Rodríguez. Ribot admitted to Guitar Player a relatively limited technical facility due to learning to play right-handed despite being left-handed: "That's a real limit, one that caused me a lot of grief when I was working with Jack McDuff and realizing I wasn't following in George Benson's footsteps. I couldn't be a straight-ahead jazz contender if you held a gun to my head, but that begs the question of whether I would want to be one." He currently performs and records with his group Marc Ribot's Ceramic Dog with bassist Shahzad Ismaily and drummer Ches Smith of the avant-garde band Secret Chiefs 3. Ribot's most current studio work involves several tracks accompanying the legendary pianist from John Coltrane's group, McCoy Tyner on his late 2008 album and DVD Guitars; which also features work with John Scofield, Bill Frisell, Béla Fleck, and Derek Trucks. In late 2010, he toured Europe with his band SunShip (Mary Halvorson, Chad Taylor, Jason Ajemian). 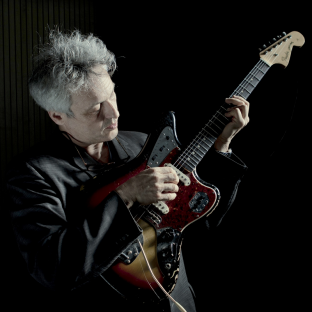 A biographical documentary film about Marc Ribot was made, called The Lost String. Ribot was also a judge for the 6th annual Independent Music Awards to support independent artists' careers. Read more on Last.fm. User-contributed text is available under the Creative Commons By-SA License; additional terms may apply.